Fox News has a new CEO, Suzanne Scott, marking the first time a woman has run the cable news network. Rupert Murdoch, who took charge after CEO Roger Ailes was forced out amid a sexual harassment scandal in 2016, will remain executive chairman of Fox News. Scott will report to both Rupert and his son Lachlan. Jay Wallace is effectively Scott's No. 2. His new title is president of Fox News and executive editor. For the past year, Scott has been the president of programming, meaning she had oversight of opinion shows like "Fox & Friends" and "Hannity." Wallace has been president of news, with oversight of shows like "Special Report." They shared responsibilities with Fox News co-president Jack Abernethy, who primarily ran business operations. The three executives have been credited with turning Fox News around in the wake of the Ailes scandal. 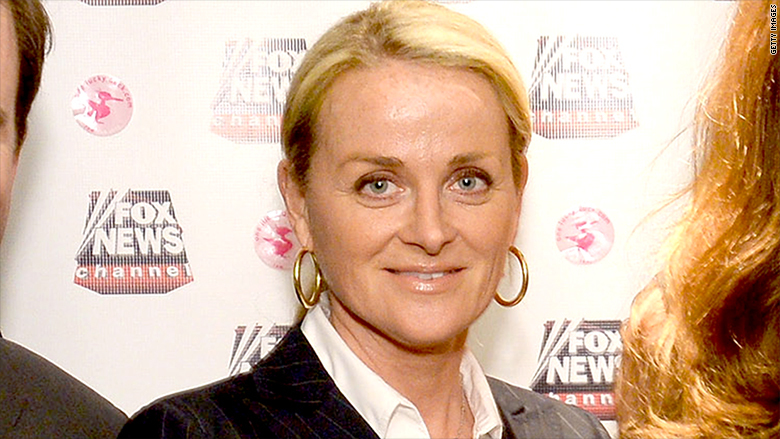 Now Abernethy is leaving Fox News and moving to L.A. to run the Fox Television Stations Group. And Scott will be CEO of both Fox News and its sister network Fox Business. The changes were announced on Thursday as part of a broader reorganization of Fox. The Murdochs have been preparing what they call "New Fox," a slimmed-down version of 21st Century Fox that will emerge once Disney takes control of the existing company's movie studio, entertainment channels and other assets. Disney is currently awaiting government approval of that deal. On Wednesday the Murdochs confirmed that Lachlan will be chairman and CEO of the new company, while Rupert Murdoch will be co-chairman. "New Fox" will contain Fox News, Fox Sports, the broadcasting division, and local stations. Fox News is an essential piece because it is a profit engine for the company and the highest-rated news channel on cable. Lachlan Murdoch thanked Abernethy for being a "steadying force at Fox News during the last 21 months," the time since Ailes was removed. Ailes had been the CEO of Fox News ever since its founding in 1996. Lachlan said Abernethy established "extensive policies and procedures while streamlining management and installing respected industry executives in key roles, all of which achieved our goal of a creating more transparent work environment." Lachlan also praised Scott as "instrumental in the success of Fox News." He noted that she played a key role in the launch of new programs like "Tucker Carlson Tonight" and "The Ingraham Angle." "She has now made history as its first female CEO," he said. Correction: An earlier version of this story inaccurately said that Wallace and Scott reported to Abernethy. All three executives previously reported to Rupert Murdoch.